Figured out how to take screen shots on my iPhone today. 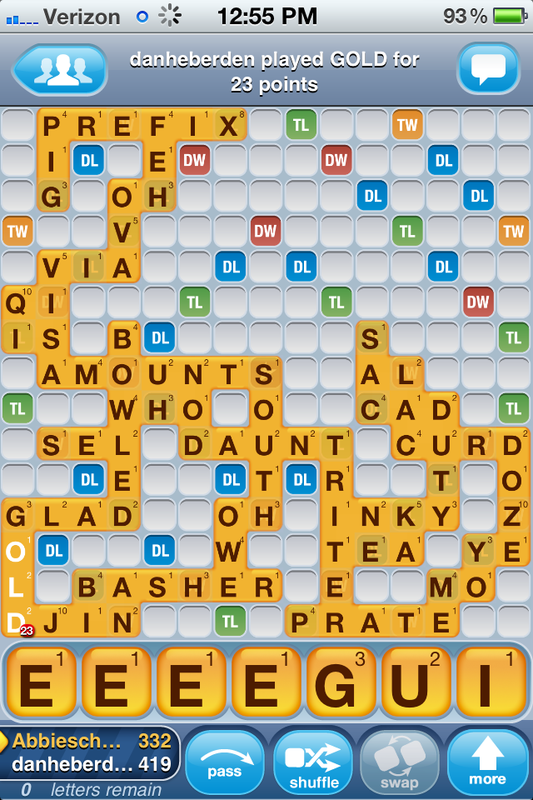 Took a picture of my Words With Friends game so that I could share the horror of 4 Es. This entry was posted in photography and tagged iphone, Photography, words with friends. Bookmark the permalink.